we were able to eat the whole thing. You needed some little fishes and a miracle! 😀 A great test to your sharing skills! I wish you a great weekend with soft warm crusty bread with the morning coffee! I was surprised but the good news is I love soda bread so it could have been worse, but not much worse! 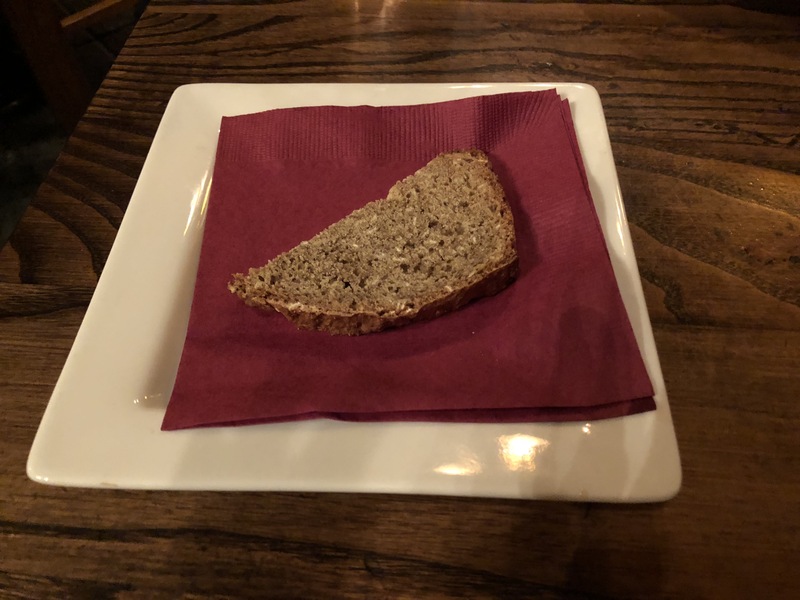 A meager offering, but ah… soda bread! Was the server crusty about the request, Beth? Yikes. u = I, of course! But did you see all the stars and all the heavens while eating it? You guys got the very last piece. What are the odds? In our house yesterday, Grandma and Granddaughter made soft pretzels. Hot out of the oven they were mmm, good. Please tell me you were on Candid Camera. I’m amazed the group of you could force all of that down…..
Would have been a generous act for sure.